A crack in your foundation is rarely something you can ignore. It won’t heal itself and it could be a sign of structural damage. Cracks in your foundation can be caused by weak materials, water damage, oversaturated soil, and other causes. If left unchecked, a weakened foundation wall can allow moisture and pests in, begin to lean, and ultimately fail. 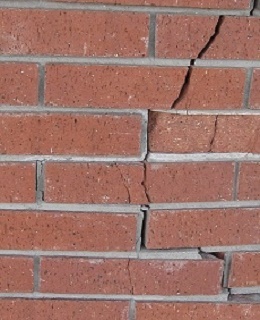 If you discover cracks in your foundation, call the experts at Iowa Home Restoration & Repair, LLC as soon as you can. We will inspect your property and figure out the cause of your foundation cracks and determine the best method to repair them. Drought: When the soil doesn’t have enough moisture, it can contract and pull away from your foundation. This loss of support can cause the foundation wall to shift and crack. Expansive Soil: If the soil gets oversaturated, it can expand, pushing your foundation out of place. 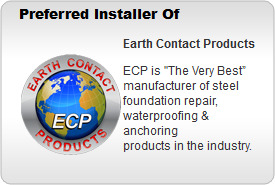 This can create cracks in your foundation walls and floor. Plumbing Leaks: If you have a pipe leaking either inside or outside of your home or business, it can cause foundation cracks. In addition to causing water damage and higher water bills. Poor Construction/Soil Preparation: When your home or business was being built, the soil around your foundation needed to be properly prepared and compacted. If the soil wasn’t prepped correctly, or if the foundation wasn’t set right, it could leave your home or business open to foundation damage and settling. There are other variables that can cause these problems, like tree roots and improper drainage, but those are the biggest reasons your home or business can develop foundation cracks. So, now that you found a foundation crack, what can you do about it? First, give us a call and let us come out and look at it. We can determine the situation and the proper methods for repair. We’ll work with you and your budget and give you the peace of mind that your home or business is once again stable. Call us today and let us show you what Iowa Home Restoration and Repair, LLC can do for you.